The fall season is officially upon us! Time to dust off those faux pumpkins, pull your scare crows out of the attic, and get your home looking spooky! 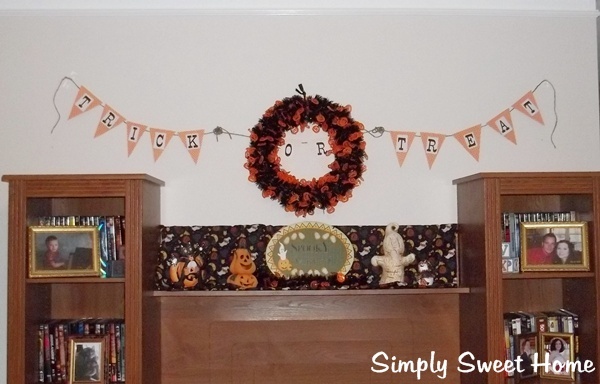 Today I’m sharing a little vignette of Halloween stuff that I had up on the shelf of the entertainment center in our living room last year. And I’ll show you just how easy and affordable it is to make your own fall display!